CPC uses current Climatology based on 1981-2010 which should have been changed to base years 1986-2015 as has been mentioned by them in their explanation about Climatology base years change here. 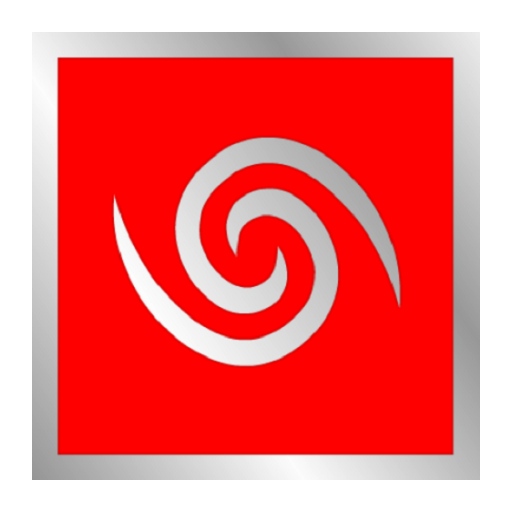 The current El Nino event was confirmed at the end of August 2015 considering the SST departures from average in the Niño 3.4 region based on Extended Reconstructed SST – (ERSST.v4). The graph below shows that at the end of July El Nino is officially over. ENSO neutral conditions started end of July 2016, the last available 3 monthly season being MJJ 2016. Considering the official NOAA definition for La Nina, technically it is not possible to have a full fledged La Nina during the 2016 Indian Monsoon season. If the August SST anomaly for Nino 3.4 region is above -1.0ºC then technically a full fledged La Nina is not even possible during the year 2016, because there will be just four 3-monthly seasons left after August. The Table below shows the monthly SST of Nino3.4 Region and the Climate adjusted normal SST and SST anomaly for last two years. May, June & July 2016 SST anomaly for Nino3.4 region is used to calculate the latest ONI Index for MJJ 2016 as +0.2ºC. 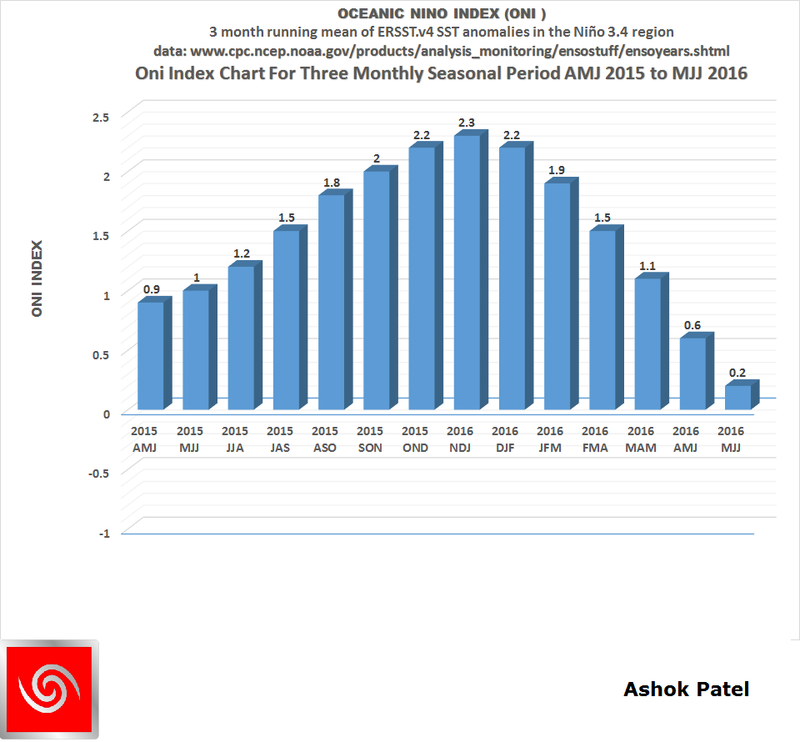 Since the latest ONI Index is below +0.5ºC and above -0.5ºC, ENSO neutral condition has set in at the end of July 2016. 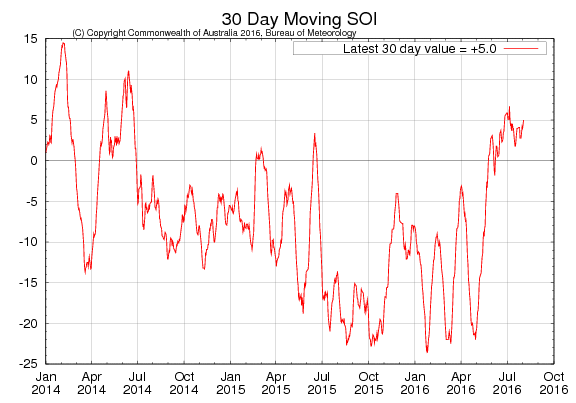 As per BOM, Australia: The latest 30-day Southern Oscillation Index (SOI) up to 31 July 2016 is +4.2, which is well within the neutral ENSO range. The 30-day SOI has remained within the neutral range during the past month. Latest 30-day SOI is +5.0 on 3rd August 2016. SOI Monthly graph up to July 2016 as per The Long Paddock – Queensland Government. SOI was +3.70 at the end of July 2016 as per The Long Paddock – Queensland Government. Despite some cooling of the tropical Pacific Ocean surface waters, ENSO indicators remain neutral and well shy of La Niña thresholds. In contrast, a strong negative Indian Ocean Dipole (IOD) event continues, with ocean temperature well above average in the eastern Indian Ocean and below average near Africa.